Are you looking for a solid iPhone photography app without confusing graphics and icons? If yes, then Camera Prime may be a great photography app to try to enhance your photos and videos. The functions and controls are concisely described and accessed via straightforward gesture controls. You will want to purchase the $0.99 upgrade to access Camera Prime’s features, as the free version is nothing more than a slightly enhanced iPhone camera. The settings button opens a screen with a well-organized list of Camera Prime’s capabilities. The list is expansive and customizable. One example is the anti shake mode. You can choose low, medium, or high with a touch on the screen. Another great example is the zoom customization. The default control is a simple bar on the screen that responds to a finger slide for zooming in and out on your subject. From the customization screen, you can add pinch zoom, or you can switch to pinch zoom only mode. As a big fan of a grid to help you frame your subject, I appreciated the one touch activation to enable this feature. Certain more sophisticated and technical features allow you to adjust focus and exposure. With a tap on the screen, you can elect to focus and expose at the same time. Or you may choose to activate separately. The Camera Prime iPhone photography app allows you to make decisions about how your iPhone camera operates with clearly explained terminology and simple touches to turn items on and off. When appropriate, Camera Prime’s iPhone photography app integrates responsive slide controls to fine tune your video and photo functions. With functions ranging from timer delays to white balance control to saving options, the Camera Prime iPhone app offers great tools that function well and positively impact the quality of your photos and videos. You can activate burst mode to shoot three photos in rapid succession. You can change the photo size and video quality. 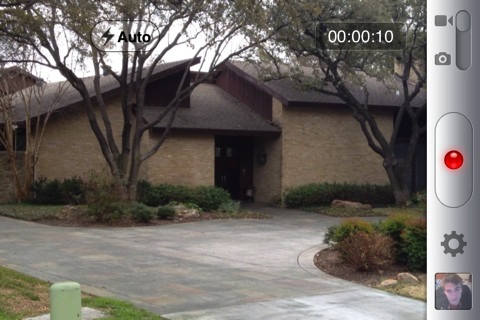 Another neat feature allows you to date and time stamp your iPhone photos and videos. The sharing features of the Camera Prime iPhone app allow you to email, text, and post to YouTube, Facebook, and Twitter with ease. The Camera Prime iPhone app brings excellent functionality and capability to your iPhone camera’s photography and videos with an extremely reasonable in-app purchase of $0.99. This is the photography app to recommend to someone who doesn’t want to decipher icons, but wants great function described in concise, precise language. 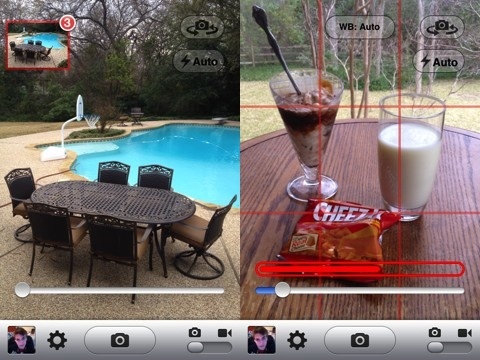 AppSafari review of Camera Prime was written by Jenni Ward on April 23rd, 2012 and categorized under App Store, Free, Photos, Utilities. Page viewed 4128 times, 1 so far today. Need help on using these apps? Please read the Help Page.